The absolute best team in the competition, hosts a mid-table side, in the 18th round of the Dutch Eredivisie. 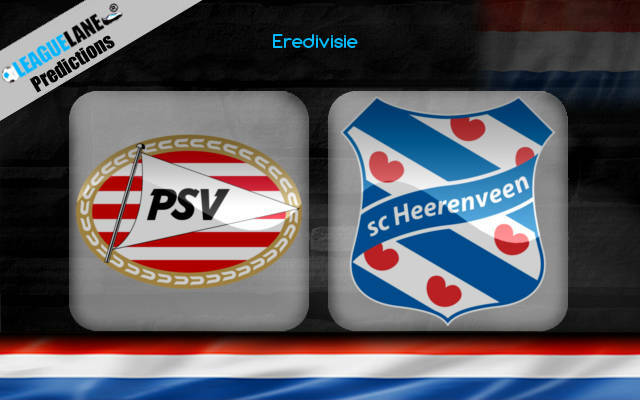 PSV opens their door to Heerenveen, at the Philips Stadion this Saturday. PSV destroyed Graafschap last weekend despite being on the road. The final scoreline read 1-4. de Jong chipped in with a brace, his two goals coming in either half of the game, at the start and end of the match, to be precise. The only irregularity was the fact that PSV conceded a goal, a rare thing to happen in the Dutch league these days. Heerenveen will be totally furious and self-deprecating with their performance last matchday. Heerenveen remained scoreless against Groningen, who are facing possible relegation. They conceded two goals in the space of nine minutes, against Groningen. Heerenveen has European ambitions for next season, and it is high time that they come up with performances suitable to that stature. Last seven wins in head-to-head ties are in the name of the home sides. PSV have a 100% winning record in the league this season. The hosts have scored the most goals, 43 from their matches, and at the same time, conceded the least, just five. PSV has lost only three of their last 32 ties, and all three came in the Champions League. Heerenveen has only three wins to their name in last 14 games. PSV has lost only one of their last 26 home games, again the loss coming in the Champions League. Heerenveen remained winless in four of their last seven games on the road. The hosts and the potential champions have this game in the bag even before the starting whistle is blown. They have been absolutely ruthless in the Dutch league so far. And to add cherry on the top, they play with home advantage in this tie. PSV has registered 100% winning record in the Eredivisie in 2018-19. They have scored the most goals and conceded the least. Both their frontline and backline have equally complemented well to this dream run. Heerenveen, on the other hand, is struggling, especially on the road. They have registered just three wins to their name in last 14 attempts. PSV will win the game, taking both the halves, and will keep a clean sheet in the process as well.